@PunnyBaker, I mean the goal probably leads to the shooters side. How much are these and where can I buy one? I need this in ways you don't understand. 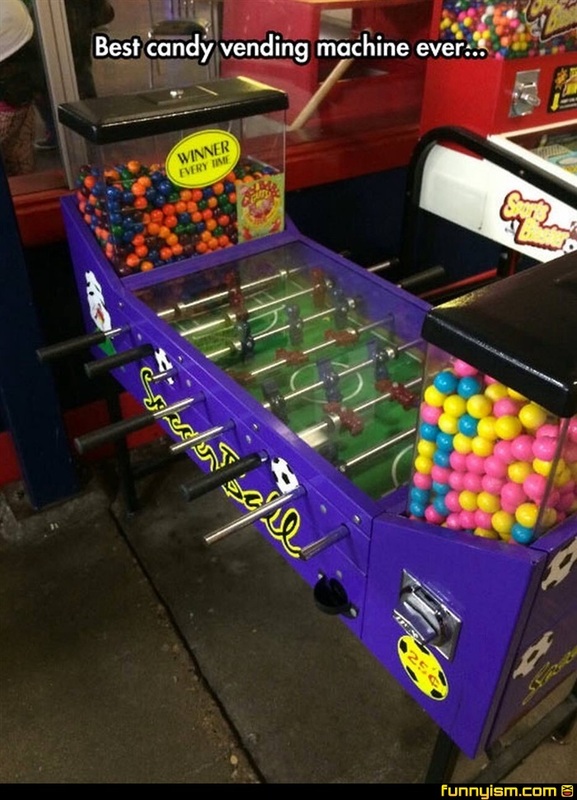 The ones I always played had bouncy balls in them... is that the joke? Half those gum balls will be split in two by the time they actually make it in the goal the way my brother and I play.